Longtime Twins catcher and first baseman, Joe Mauer, who hinted at retirement before the season was over — and practically retired on the last game of the season — made it official Friday with a letter to fans that he is, in fact, going to retire. ESPN reports the letter is set to be published in the Sunday editions of the Minneapolis Star-Tribune and Pioneer Press newspapers. 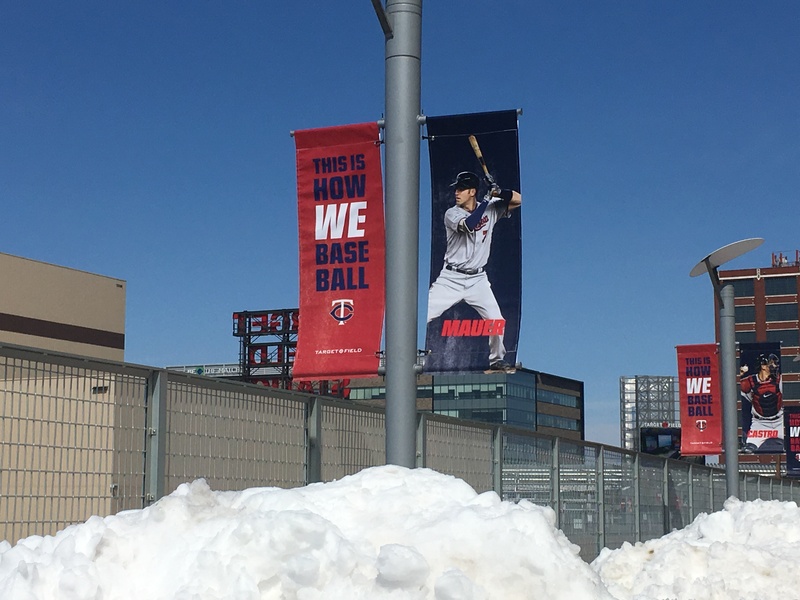 Not only is it the end of an era for Mauer and the Twins, but it’s also, I have a feeling, the end of an era for baseball. I say that because I’m not sure the world of analytics has the patience or desire for longtime players to attach themselves to one team. There are too many players to be evaluated, too many deals to be considered and too many free agents to review in the go-go, data-infused world embraced by Falvey & Co. and other executives like them. Who is the longest tenured Twin after Mauer? Is it Kyle Gibson? Or maybe it was Brian Dozier? Mauer was the Twins’ No. 1 pick in 2001. By 2004, he had made the team and began to consistently hit .300 or better, including .365 in 2009, the same year he won the AL MVP award. Here are the other obvious accolades: Six-time all-star, three-time batting champ and three-time gold glove winner. He also collected more than 2,100 hits over 15 seasons. But for me, Mauer was always Mr. Clutch. If the rest of the lineup went cold, you could always count on Mauer to deliver a few key hits. The numbers bear this out (Yep, those pesky numbers again). -Facing a first pitch, he hit .396. -Facing a 1-0 count, he hit .363. -Facing a 2-0 count, he hit .406. -Facing a 3-1 count, he hit .409. -With two outs, Mauer hit .299. -And with two outs and runners in scoring position, he hit .321. Mauer never developed into a power hitter, but the Twins are still going to miss that steady production near the top of the order. You know what else I’m going to miss? Mauer’s ability to hit the ball to all parts of the field, which I think is a lost art when one considers the radical defensive shifts most teams employ. But that didn’t work against, Joe. He hit to opposite field just as well as he pulled the ball down the right field line. Congratulations to Joe Mauer on an amazing career. Thank you for being a great teammate. We will all miss playing with you. You truly represent all that is right with the game of baseball.